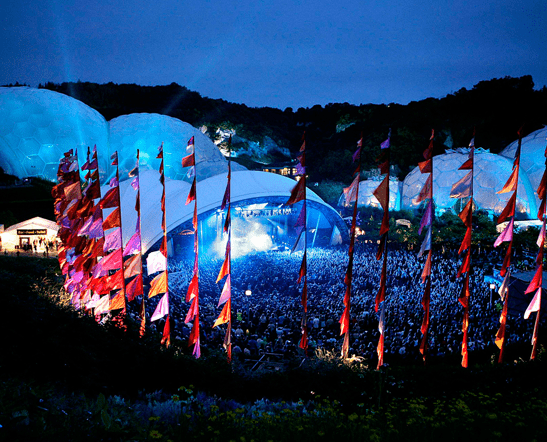 Set within the amazing grounds of the Eden Project, the Eden Sessions bring people from far and wide to see some world famous acts. Throughout June and July Tom Jones and Lionel Richie take to the stage, as well as Manic Street Preachers and Jess Glynne. More than just a music venue, with yummy food and an incredible atmosphere, the valley in which The Eden Project sits comes alive. To purchase tickets and take a look at the full line-up, visit the website. Held weekly throughout the spring and summer months in their very own natural amphitheatre, the free Sundowner Sessions on Lusty Glaze Beach in Newquay are the perfect way to spend a sunny evening, with great music, food and drink in a relaxed beach setting. 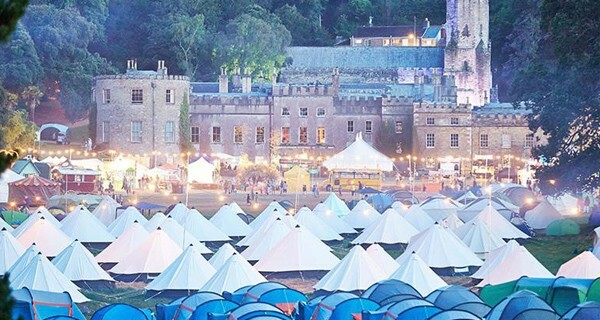 In the peak summer months, there are also Headliner Sessions, which are on a larger scale and past performers include Ben Howard and Newton Faulkner. Each year, the north Cornwall beach also welcomes the 37 piece Cornish Sinfonia Orchestra for Symphony By The Sea, an evening of classical music, culminating in a spectacular cliff top firework display. Lusty Glaze is a 45 minute drive from Fowey, with parking above the beach. Note – there is only one access point to the beach via 133 steps, which may be difficult for less able or elderly visitors. Described as a literary festival, but with the feel of a garden party. You name it, this festival has it; with live music, fashion shows, yoga sessions, comedy, food, science demonstration and rentable hot tubs. With presence from the Eden Project, Tate St Ives and popular with celebrities too, this is the place to be this summer. There is also an array of really interesting workshops, from mixology classes and cheese with cider pairing, to working with botanical inks and calligraphy. The festival runs from 28th to 31st July in St Germans, a 45 minute drive from Fowey. Originally used as a Methodist Chapel, Calstock Arts’ venue, The Old Chapel, has since been converted into a beautiful public performance venue and established as a not-for-profit arts centre. It holds regular events, including live folk, jazz, and classical music performances, as well as stand up comedy, film, theatre, talks and exhibitions. The venue is also home to the Calstock Jazz and Blues Festival in October. 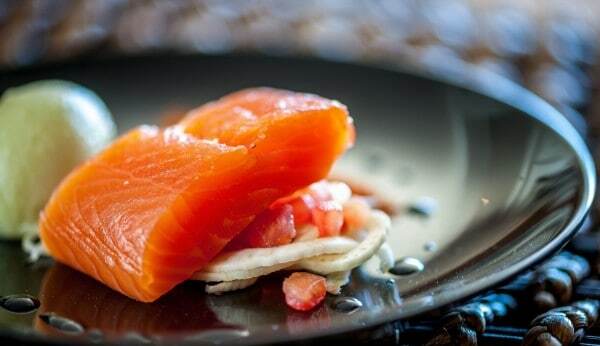 The venue is situated in a beautiful location, right on the banks of the River Tamar, with beautiful views across the water to Devon and beyond. Located in the centre of Truro, Hall For Cornwall hosts a wide range of productions, from classical and rock concerts, to musicals and dramatic plays, with touring national and international performances, and local, Cornish talent taking to the stage. This summer welcomes Thriller Live, celebrating the career of Michael Jackson, Choir of the year auditions and The Sound of Music, plus many more. For information and tickets, go to their website. Located in the beautiful gardens of Trebah, their very own amphitheatre and private beach set the stages for a number of musical performances throughout the year which include an entry ticket into the gardens that is valid for 7 days once purchased. Events see local bands, orchestras and choirs drawing people around the amphitheatre and onto the beach to spend an evening surrounded by exotic plants, Cornwall’s wildlife and the natural landscape. To see what’s on and to book tickets, got to Trebah’s website. Set within the incredible curved cliffs of Porthcurno and steeped in history, The Minack Theatre is an open air arena, boasting 180 degree views of the sea and recognisable headlands, providing a completely unique experience for the audience of the plays and musical events that are held there. With jazz orchestras, dramatic operas and vocal groups performing at The Minack this summer, we think it would be just as amazing to perform there as it would to watch! Head over to their website to find out what is showing during the summer season. From 10th to 14th August, Boardmasters will be welcomed back to Newquay with some of the biggest names in music gracing the festival’s multiple stages which sit atop Watergate Bay’s cliffs and boast unspoilt views over the sea. Boardmasters is hugely popular for locals and visitors alike and the headline acts get bigger and better every year. This years acts will include James Bay, the Kaiser Chiefs, Foxes and Example to name a few. The event also hosts multiple skating, surfing and BMX competitions, which are held at Fistral beach and completely free to attend.